Invest in plastic: Why food retailers are reaping the financial benefits from owned plastic pallet pools. This entry was posted on May 19, 2017 by Goplasticpallets. Goplasticpallets.com Managing Director, Jim Hardisty, explains how retailers can generate revenue from owning plastic pallet pools. The food retail industry continues to become more demanding. Like many, it is reliant on international product supply and distribution. Spanning multiple stakeholders from local and international suppliers and manufacturers, distribution hubs and finally out to the stores, each counterpart is responsible for the smooth running of their “link” in the chain. With this in mind, it’s no wonder that we’ve seen plastic pallet pools becoming ever popular within the food retail industry. 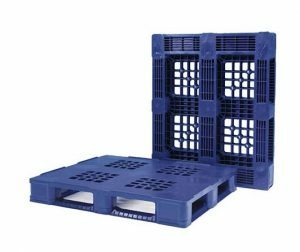 Hygienic, durable, consistent and designed with the application in mind, plastic pallets offer a high return on investment. Historically, large food retailers relied on wooden rental pallets. 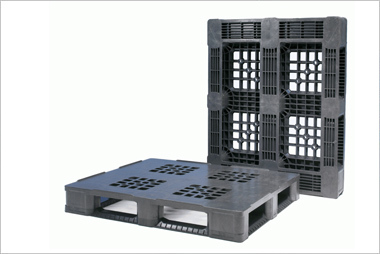 Now, plastic pallets are recognised more and more as the resilient choice, with a longer “working life” – four times that of wooden pallets. In fact, we’ve seen retailers starting to actively cultivate income from creating and using their own plastic pallet pools. After realising the long-term benefits, many of our customers have taken the opportunity to generate a revenue stream through creating their own plastic pallet pools. They can the rent the pallets from within the pallet pool, to suppliers and other partner businesses. Furthermore, owning the pallet pool creates a group sense of responsibility for the pallets, which are now seen as “assets”. With several parties invested in the successful running of the pool, there is greater inherent control. A pool of owned plastic pallets provides the owner with greater flexibility and a better return – without incurring the costs associated with renting. If plastic is the superior choice, why are so many businesses still using wooden pallets? Many retailers still use pools of wooden rental pallets with the perception that they are cheaper to use and if any are lost or damaged, it’s not such a great burden to them. However, when you factor in delivery and collection charges, pallet “rent” and any additional penalties obtained for lost or damaged pallets, the true cost of renting can be incredibly high. Sometimes much higher than anticipated in the long run. Rental pools do have a lower initial cost, which certainly has its appeal. However, much like choosing to rent a property or taking out a mortgage, the real question should be: Why put money in someone else’s pocket when you could invest in your own, long-term asset that will pay back dividends? This is the empowering mindset that many of our customers are now taking. In a plastic pallet pool, responsibility for the pallets is shared. The retailer or distribution centre receiving the palletised goods are accountable for collecting the loaded pallets. They are then in charge of inspecting, sorting and cleaning them. This model not only suits the owner, but is more virtuous for the other parties in the chain. 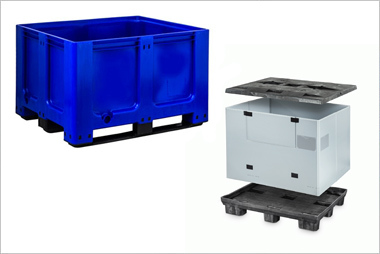 Distributors prefer plastic pallets because they are significantly lighter, improving manual handling conditions; they enable the dispatcher to put more product on a truck and increase trailer fill; and they deliver more trips per life cycle than wood. 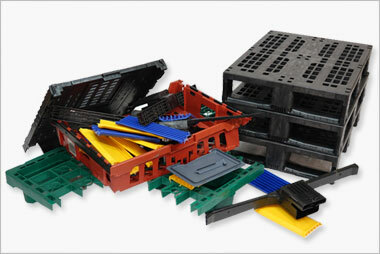 Plastic pallets are made to a high standard, with precision consistency when compared to wood. Impressively, a plastic pallet pool can be created using only one type and style of pallet. 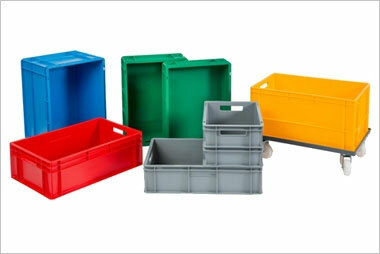 Within the scenario of a food retail supply chain, it’s wise to invest in a durable, consistent plastic pallet. For example, the APB 1210 Pool Perforated 5R is perfect for large retail pools because it can withstand the strain of repeated use. A complete logistics loop solution in one pallet. 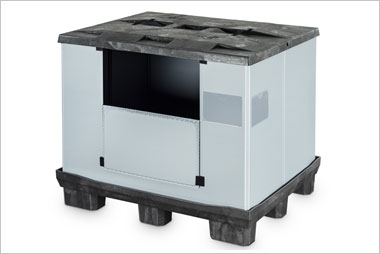 The APB 1210 Pool Perforated 5R is an ideal, heavy duty solution for use through the logistics process. From supplier to the retail distribution centre and into the store for retail. This model and type of pallet is especially beneficial to major supermarkets, retailers with multiple stores and franchises with high volume supply chain. Moreover, by using hygienic plastic pallets, companies are compliant with pharmaceutical andfood handling regulations.Produce can go straight out onto the shop floor, removing the need to transfer it onto different pallets. A highly suitable medium duty pallet, the IPS 1210 Medium M5R is ideal for transporting light loads. Often in small batches, such as fresh fruit and veg, chilled meats; garments and household goods as retailers continue to broaden their in-store offering, and in-store displays. 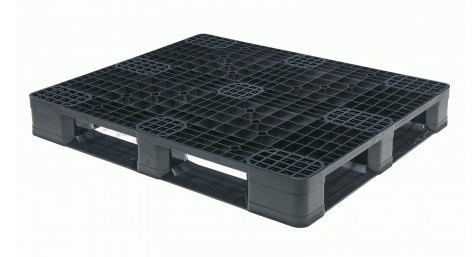 The benefits of using plastic pallets over wooden rental pallets speak for themselves. Through owning a plastic pallet pool, retailers can utilise one type of pallet throughout the logistics chain, and actually make money in the process.